When it comes to worship, we tend to think about it in terms of going to a church or other gathering of Christians. We may say things like, "I went to worship today," or "I am going to the 10:30 worship service." What usually comes to mind are the activities of singing, praying, listening to a sermon. Music, prayer and scripture are usually the elements associated with what we refer to as worship. In our culture, worship is thought of as an event or an activity that we attend and experience at a given time and place. While it is true that we gather to worship together at regular times and places, we are limiting God's definition and intention of worship if we simply see it in that way. 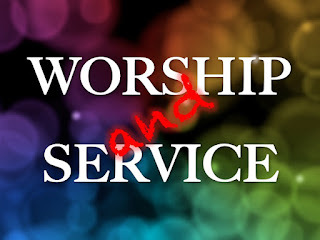 The event of worship is not the extent of worship. 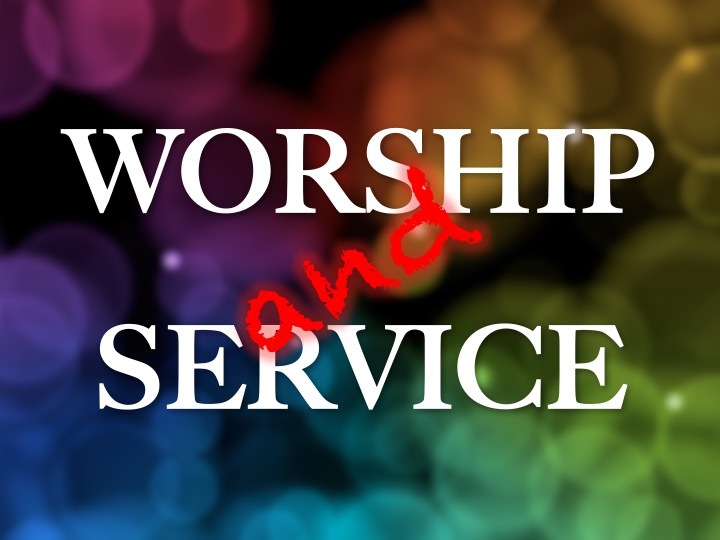 We see that, "true and proper worship" is really about a lifestyle of loving and serving God. A true act of worship is giving of ourselves entirely to God, allowing him to change our attitude, thinking and action every moment of everyday. This means that the act of worship really begins when we leave the church building. Notice that Paul says that giving ourselves in this was is an act of "living sacrifice." This sacrifice is not just the giving up an hour or two of my day to go to a church worship service. It is about giving myself completely to God in how I live and interact with others every day. When we understand worship in this way, it should challenge us to fervent desire to live all aspects of my life for Christ. So how do we understand the purpose and meaning of what we do when we come together for a worship service at a given time and place? Can that rightly be called "worship?" I think that meeting together to praise God is biblical and necessary for followers of Jesus and should be considered worship. But we may misunderstand true worship is if we view that as all there is to worship. We should not come to God and give him a little time and then go on our way to live for ourselves until we return. After all, God's love and mercy to us is always active, not just available for a certain limited time each week. Our gatherings for worship are a time when we can meet with other believers and encourage each other to full-time worship and service for Christ. It is a time to refocus, renew, and recharge our spiritual commitment to God. It is a place to engage, encourage, and equip each other in following Christ and serving others. It is a time to practice our love for God and others as we prepare for the our lifestyle of worship. What are some practical ways you can worship God in the everyday activity of your life? Share a comment on your thoughts about worship. Liked your blog, To organize any event there is Event Software which is the best software that will help you to manage any event.